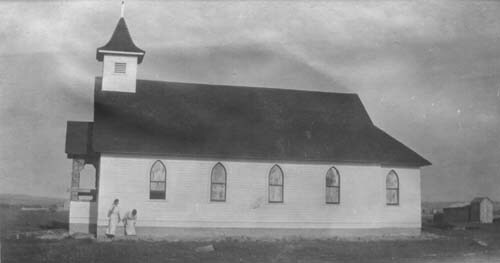 The mission was organized on the 6th day of May, 1914, by the Dean of Rock Springs the Rev. A.F. Schezz, Dean in Charge, and the Right Rev. N.S. Thomas, First Bishop of Wyoming. The First Bishop Committee were Syrous F. Fish, Al Osterhaut, Kenneth L. Luman, Dr. Wilson, F. McDell and Howard W. Heitz. 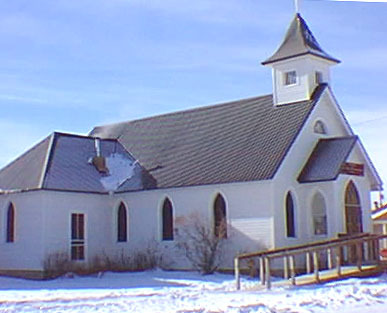 A contract for the immediate erection of the church was let to the Lincoln Lumber Co. of Kemmerer, Wyoming. May 9, 1914, C. P. McGlashan conveyed to the Right Rev. Nathaniel S. Thomas, Bishop of Wyoming, by warranty deed lots 6 and 7, block 13, McGlashan Addition to the town of Big Piney. The property is in section 31, township 30 north, range 111 west. The Calpet school was moved to Big Piney to be used as a music room by Sublette County School District #9 in the early 1960's. When the school was no longer using the building Bob Springman, Sr., made the arrangements to have the building moved to the Episcopal church for a parrish hall. It was added to the east of the church and appears as part of the original building as can be seen in the left part of the bottom picture. The kitchen was built on the parrish hall in the late 60's by John and Suzanne Gallemore as a memorial for Francis Tanner. 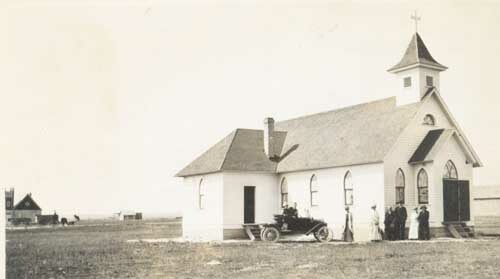 This history was gathered from the archives of the Episcopal Diocese of Wyoming and the first book of records of St. John the Baptist, Big Piney, Wyoming.